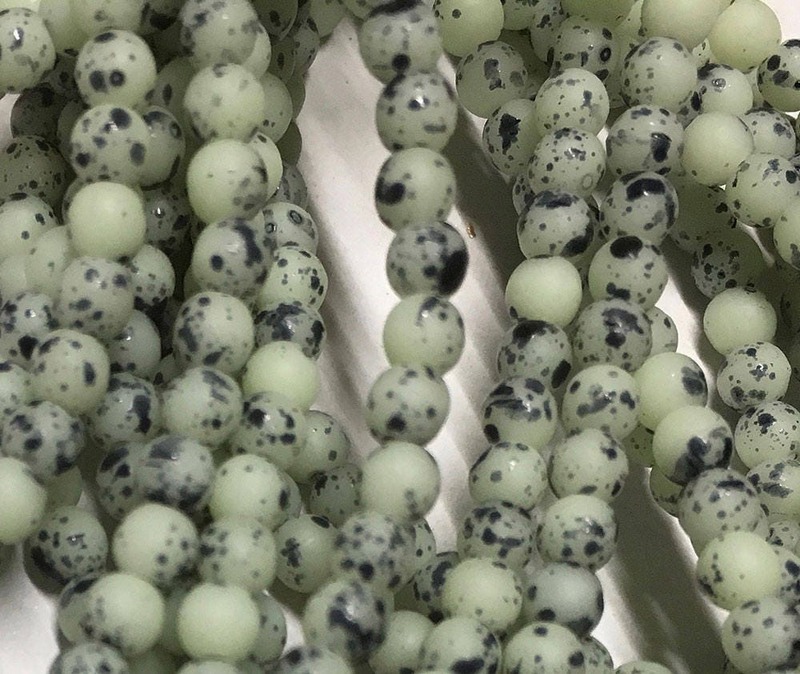 Pistachio or matte tea green with black spots Czech pressed glass small round Druk beads. Looks like little bird eggs! These are 3mm and there are 50 beads per strand.